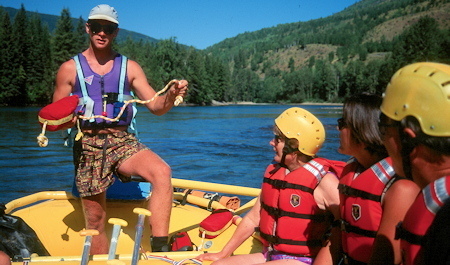 For over 30 years, Interior Whitewater Expeditions has been whitewater rafting on some of the most powerful and pristine rivers in British Columbia. 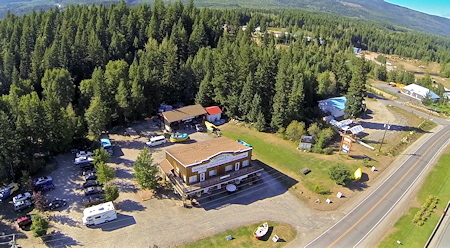 We are located at the entrance to Wells Gray Provincial Park, in Clearwater, BC. Stunning and magnificent, Wells Gray Provincial Park, where most of our adventures take place, is 520,000 hectares of pristine wilderness, with shimmering blue lakes, towering mountain ranges, colourful alpine meadows, thundering waterfalls and abundant wildlife. The Clearwater River runs right through it, and it’s the route for most of our rafting trips. 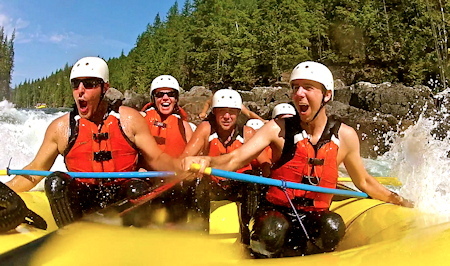 Join us for unmatched wilderness river rafting and multi-sport excursions in beautiful Wells Gray Provincial Park. 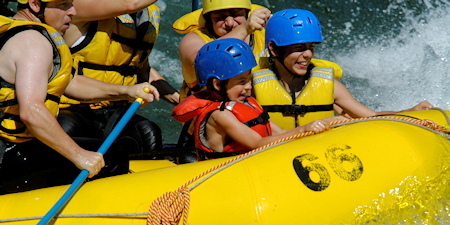 And, whether you prefer whitewater rafting adventures or leisure raft trips, we offer something just for you. 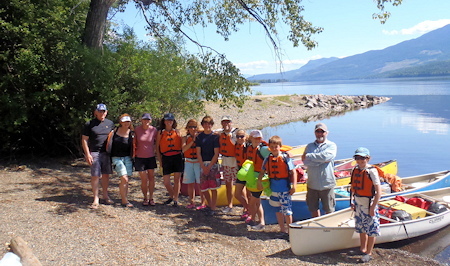 Check out our fun family rafting trips, gentle scenic float trips, and wild whitewater rafting adventures. Or spend a few unforgettable days with magnificent scenery and multi-sport adventure on one of our multi-day packages. Gone are electronic gadgets, chores, and schedules. Our Catch A Wave trip makes everyone a part of a team, all working together to achieve a common goal. We've been told time and time again from parents that this trip was one of the most rewarding experiences their kids have ever had. Our safety conscious and informative guides will do their utmost to teach a little bit about the natural history and geology of the area as well as find time to go for a hike to a breathtaking waterfall or explore some old growth forest. IWE has strong safety policies regarding all trips. We have a minimum of two guides on every Catch A Wave even with as few as four guests. We stay away from the big rapids of the Clearwater River and operate the Catch A Wave trip on a section of river that is class two only. We start in late July when the levels have receded and the water and air temperatures have warmed up. All participants are outfitted with a 3mm wetsuit for warmth as well as a fleece pullover, splash jacket, lifejacket, and helmet. 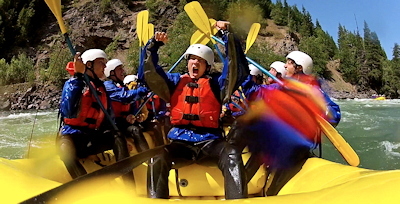 This “get in and rip” trip covers some of the best whitewater rafting in BC. Our new “Ready-Set- Go” gives you 14 km of Clearwater River that definitely delivers the “wow factor”. The trip starts at Granite Canyon on gentle class 2 whitewater. Drift by towering canyons and cliffs of ancient lava. The middle canyon is Mother Nature’s natural roller coaster. At the halfway mark of the trip we postage an unrunable section of river. All the boats and equipment are taken around by trailer but you have the opportunity for an easy 15 minute hike along the canyon to see why we portage. This is a seldom seen, stunningly beautiful, 500 meter section called Granite Canyon. Then, we meet up with the boats for the trip down the lower canyon. 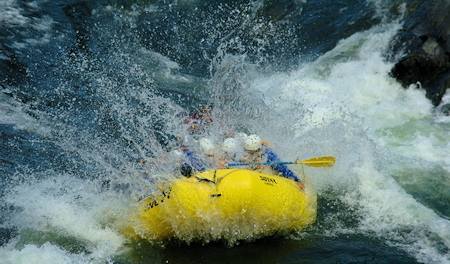 Packed with rapids like “The Wall”, “Tsunami” and “Buckaroo” it is the perfect ending to your 4 hour adventure. Near the bottom of the canyon, you can try body surfing in a class 2 rapid. Guaranteed Addiction is our always-popular, awesome all-day raft extravaganza. Experience a FULL DAY of heart pounding thrills as you charge through Sabertooth Canyon. 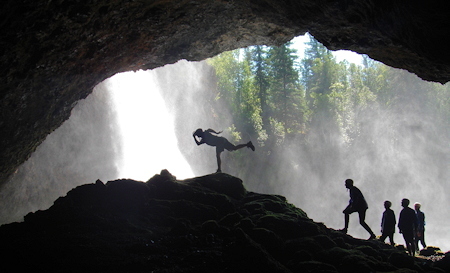 Enjoy lunch on a beautiful sandy beach and get right in behind a waterfall plunging 35 meters. If water levels permit the guides will have the brave ones walking right thru the heart of it. Glance up as you quietly drift by towering canyons and ancient lava cliffs. Wells Gray Park is being considered for “World Heritage Status” because of the unique and wild volcanic features in the park. Guaranteed Addiction is a summer tradition for tourists and locals alike. 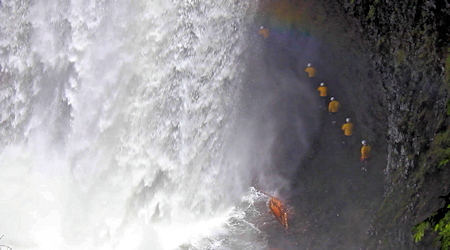 It is a unique experience, unmatched in British Columbia with natural splendor and sensational whitewater. This is an 8 hour trip with everything you need supplied - the only thing you need to bring is a healthy sense of adventure. Our super exciting Ticket To Ride overnight trip. Exhilarating whitewater, breathtaking scenery, mind blowing hikes to some of the most stunning vistas make this is an action packed adventure. c Northwest. 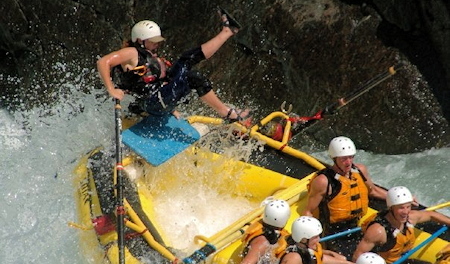 The combination of world class whitewater and exhilarating hikes make this an adventurers dream come true. Did we mention the Gourmet food? The menu is prepared by our own Red Seal Chef and is delivered by a staffthat takes pride in turning out the best outdoor meals available. 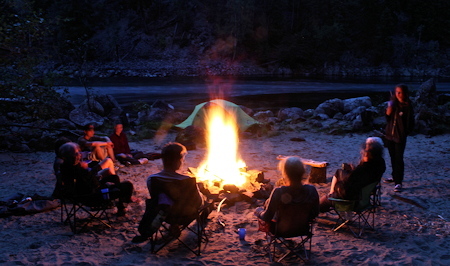 wilderness park in BC, and is the backdrop for our award winning Do You Believe In Magic 5 day trip. in canoes loaded up with enough supplies and gear for the next three days. Beautiful beaches and, old growth forest present themselves on this first day of paddling. Mahood Lake is known for its warmer waters during the summer months so swimming can be enjoyed throughout the day. 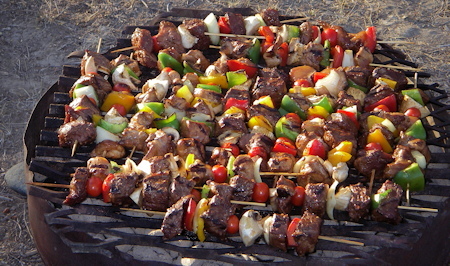 Set up camp at the end of the day on a sandy beach and see how amazing food can taste when cooked over an open fire. 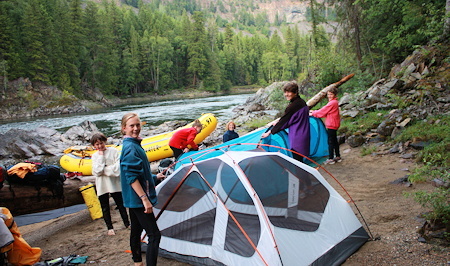 On the morning of day three we leave the canoes behind and hike along the Mahood River. 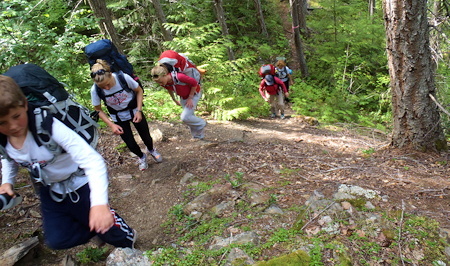 What lies ahead is the immense chunk of wilderness called Wells Gray Park. Late in the afternoon we arrive at the confluence of the Mahood and Clearwater River. The most adventurous part of the trip is about to begin. 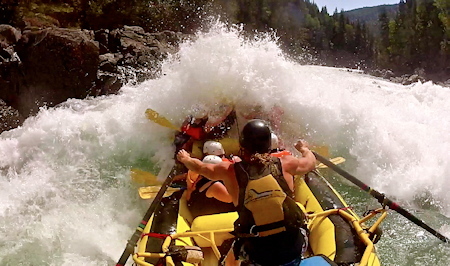 For the next two days are a combination of world class whitewater combined with mind blowing hikes. Interior Whitewater Expeditions was chosen by the Canadian Tourism Commission to be part of their Signature Experience Collection of companies; businesses that offer tourists a Once In Lifetime Opportunity while in Canada. We are one of only two rafting companies in the country to make it into this prestigious group. 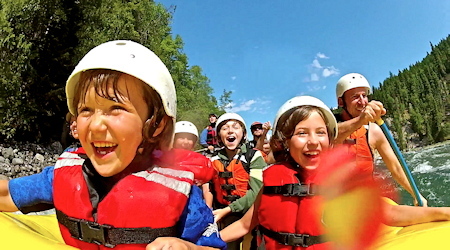 Personal attention, smaller groups and knowledgeable, capable staff who exceed provincial safety guidelines are reasons Interior Whitewater has set itself apart in the river rafting industry. 73 West Old North Thompson Hwy.